In this week's edition, we talk with Annelise Orleck, a historian of labor movements, and author of "We Are All Fast-Food Workers Now": The Global Uprising Against Poverty Wages (Beacon Press, 2018). In this book, Orleck interviews worker-activists in many US cities and countries around the world, including Bangladesh, Cambodia, Mexico, South Africa, and the Philippines. Seven Days has highlighted the book as among the best new books by Vermont authors, and Ms. Magazine included it in its list of 10 Feminist Books to Read This Spring. This book traces the globalization of our world economy and the 21st century global uprising against poverty wages led by low-wage workers, a great many of them women of color. Using photos and 140 interviews, this book tells the story, whenever possible, through workers' eyes and workers' voices. On the 100th anniversary of the Triangle Shirtwaist Factory Fire in 2011, Bangladeshi garment worker Kalpona Akter said, "In Bangladesh it's not 2011, it's 1911." I have found that to be true all over the world, in terms of workplace safety conditions, what wages will be, and the rights of workers to unionize. This book traces a movement by workers to regain rights they first fought for and won more than one hundred years ago. This project involved global travel and interviewing, archival research, and digital online research. I could not live without face-to-face and Skype interviews. I think it will include paper as it does now, material objects, and global online links to digitized resources. Enjoy your research and writing. Study what moves you. If you are moved and are having fun as you write, readers will have fun and be moved by your writing. I read many different kinds of novels, the New Yorker, Salon and the Guardian. In this week's edition, we talk with Mark Bray, who teaches History. Bray's book, Antifa: the anti-fascist handbook (Melville House, 2017) gained national attention immediately following its publication in August 2017. After the "Unite the Right" rally in Charlottesville, VA, which resulted in the death of counter-protestor Heather Heyer, Antifa's publisher, Melville House, rushed to print Antifa in order to provide historical context for the anti-fascist movement. Most academic titles see an initial printing of a few hundred copies; Melville House set a first printing of 10,000, with an additional print-run of 20,000 copies, as reported by the Guardian. Bray is an authority on the movement, one who participates in it (Bray was an organizer of Occupy Wall Street) and also performs deft political analysis of its place in current politics and over the last century. A century of anti-fascist resistance in Europe and North America; or, how to make friends at an Ivy League institution. Meeting people on marches. Reading old documents in archives. Interviewing revolutionaries. Having drinks at squatted social centers. A free, global database of information. 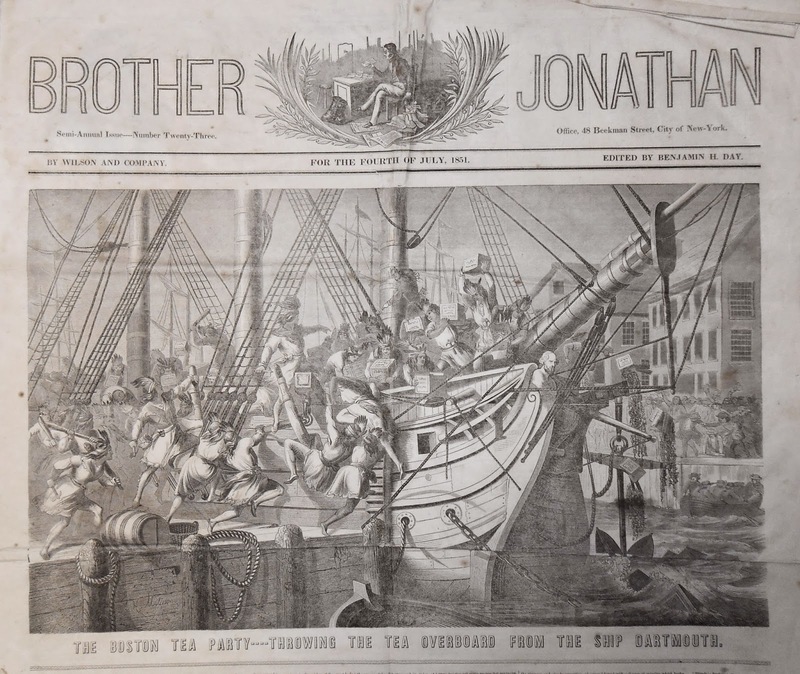 In this week's edition, we talk with Rashauna Johnson, Associate Professor of History, and author of Slavery's Metropolis: Unfree Labor in New Orleans during the Age of Revolutions (Cambridge University Press, 2016; paperback 2018). Rashauna's book has received much acclaim, garnering the 2016 Williams Prize for the best book in Louisiana history and an honorable mention for the Urban History Association's Kenneth Jackson Award. Slavery's Metropolis was also a finalist for the 2016 Berkshire Conference of Women's Historians Book Prize, and the 2017 Frederick Douglass Book Prize. It shows how fights over the physical place of enslaved people in New Orleans were proxies for Atlantic debates about urbanity, mobility and modernity. Archival research, other scholars, and popular culture. Good music and great coffee. Beats me. I just hope it exists! To pay attention to the craft of writing, and to remember that inspiration and discipline feed one another. Fiction. I love novels. I haven’t started it, but next up is Brit Bennett’s The Mothers. And an Even More Colorful New Year! Published on December 30, 2014 January 7, 2015 Author Rauner LibraryLeave a comment on And an Even More Colorful New Year! These covers are just too good. We couldn't resist a follow up to the Christmas posting. 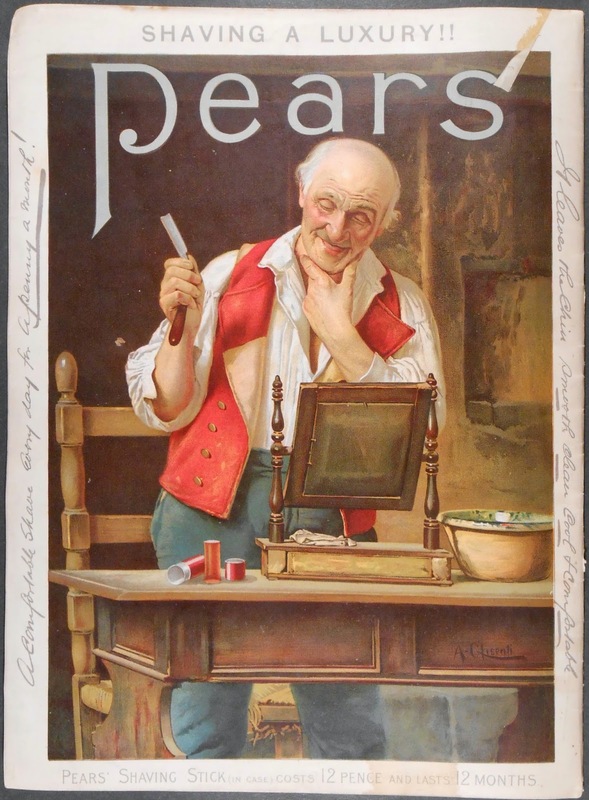 Pears' Soap issued its own holiday annual to compete with the London Illustrated News called Pears' Annual. The front cover was always a stunning holiday image and the back cover a suitably themed advertisement for Pears' Soap. 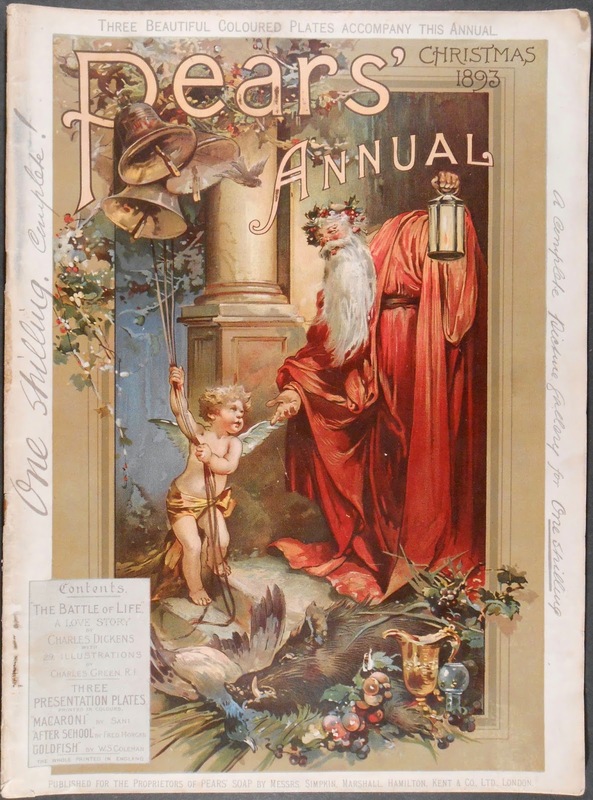 In this case, the cover shows an infant 1894 ringing in the New Year and bidding the old 1893 farewell. A dead boar and fowl evoke the feasting of the season and the holly references Christmas. The back cover shows the wonders of Pears' Soap with an image of an old man (could it be the same old man representing 1893 on the front?) invigorated and and pleased by his cleanly shaven chin. "Shaving a Luxury!" exclaims the headline. Ask for Sine Serials AP4.349 and have a great 2015! Published on December 30, 2014 January 7, 2015 Author Rauner LibraryCategories Rauner Special Collections LibraryTags History, Special CollectionsLeave a comment on And an Even More Colorful New Year! The Christmas tree, colorful packages, cards, the big family dinner... you know the schtick. You've seen it in the movies, heard it in so many Christmas carols, and perhaps even lived it. But how did that simple feast day from Medieval times turn into such a big deal? Was it, as Lucy Van Pelt claimed in A Charlie Brown Christmas, a result of a Big Eastern Syndicate? The British Royal Family probably had more to do with it than any Syndicate. Prince Albert and Queen Victoria gathered their large family around a Christmas tree each year and celebrated with a feast. The public learned about it from the colorful annuals issued at the time. 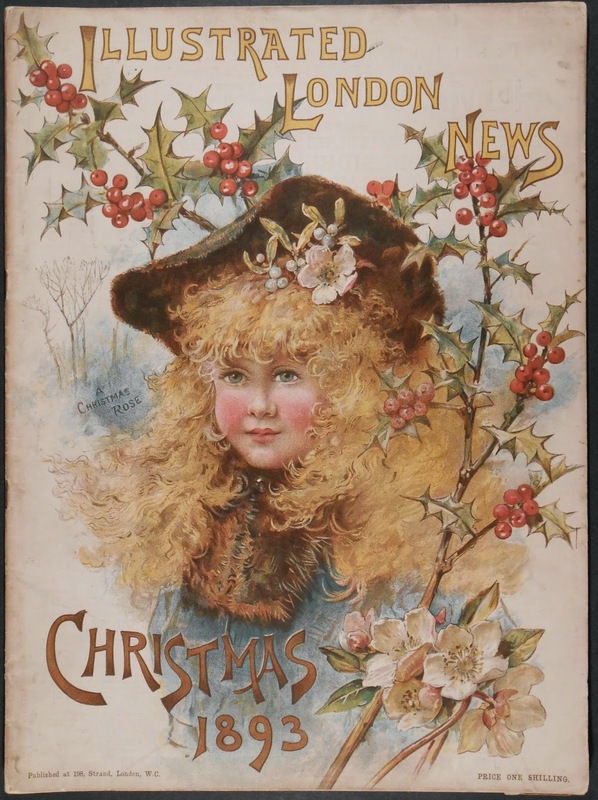 We have just finished cataloging an enormous collection of Victorian and Edwardian illustrated annuals. The color saturated chromolithograph covers did for Christmas what Norman Rockwell's Life covers did for the American Dream: richly and romantically illustrated it for middle class aspirations. 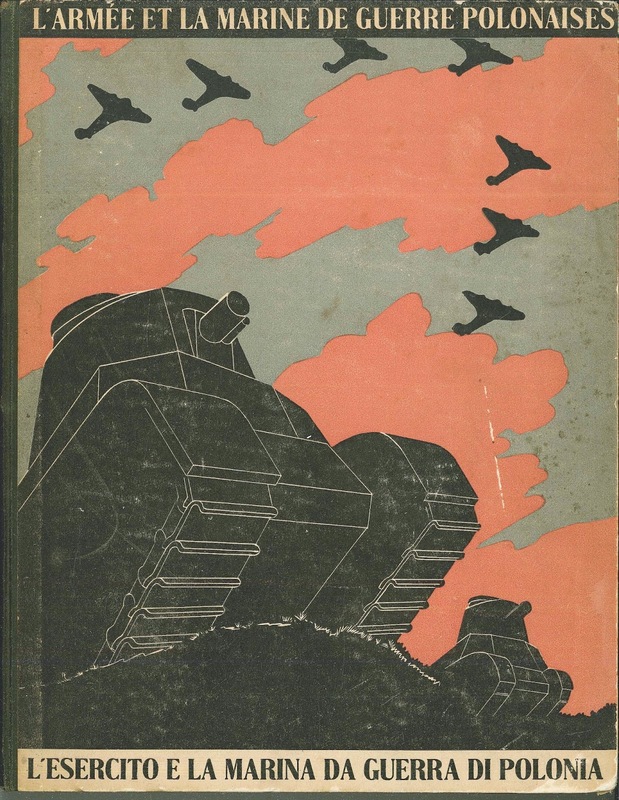 We have quite a few examples of books and ephemeral material that served as propaganda during the First and Second World Wars. But this one caught us a little off guard. Published in 1939 in Warsaw, L'armée et la marine de guerre Polonaises, looks like a typical 1930s show of military muscle. For the most part, it is images of tanks, airplanes, heavy artillery and troops training. But, timing is everything, so the image of Poland's bicycle brigade stands out. It proudly shows rows of Polish infantry sitting astride bicycles tricked out with rifles in the handlebars. 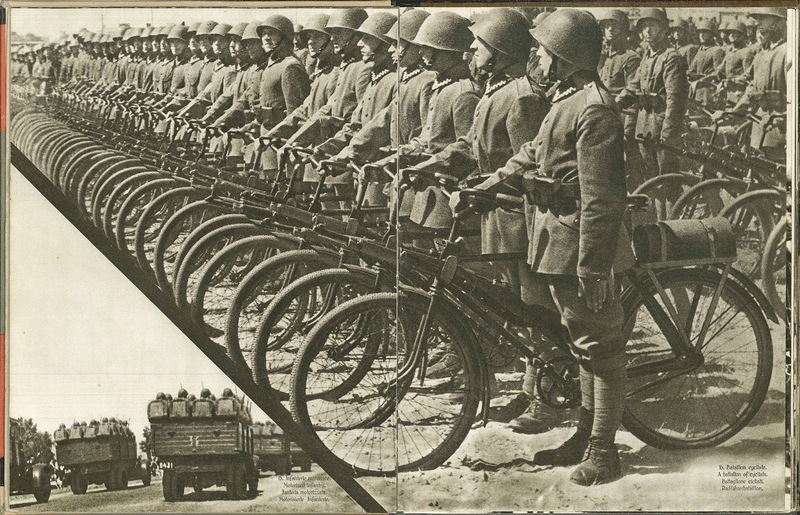 Published just months before Germany invaded from the West and the Soviet Union from the East, the bicycle brigade is now emblematic of just how ill-prepared Poland was to face either military force. It took just five weeks for the Germans and Soviets to seize and divide Poland. To see the book, ask for Rare UA829.P7 K63 1939. Published on December 2, 2014 December 5, 2014 Author Rauner LibraryLeave a comment on Oh, No! Published on December 2, 2014 December 5, 2014 Author Rauner LibraryCategories Rauner Special Collections LibraryTags History, Special Collections, WWIILeave a comment on Oh, No!